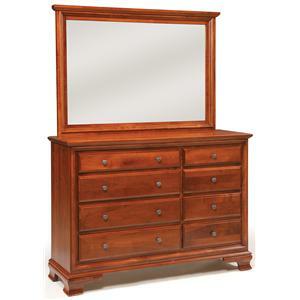 With this nine drawer dresser and mirror combo, your bedroom will benefit from the style of expert solid wood craftsmanship. 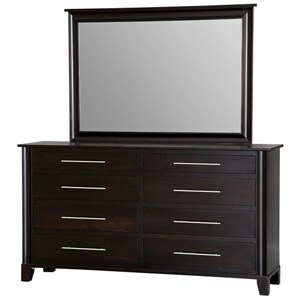 Being made from solid wood, you know this set is built to last, while the nine total drawers give you plenty of space for your clothing and accessories. 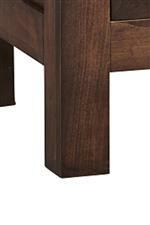 Furthermore, you're able to choose between a wide variety of wood finishes to create your own personal look. 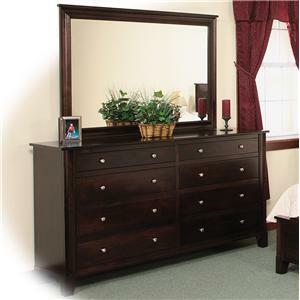 The Wildwood Solid Wood 9 Drawer Dresser and Tall Wide Mirror Combo by Daniel's Amish at Saugerties Furniture Mart in the Poughkeepsie, Kingston, and Albany, New York area. Product availability may vary. Contact us for the most current availability on this product. 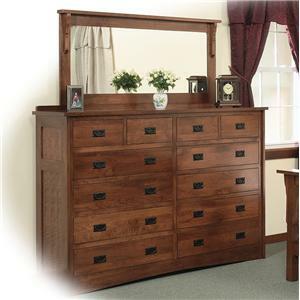 This collection of expertly crafted solid wood bedroom furniture will give your home a rustic, cabin-style atmosphere that'll last for generations. 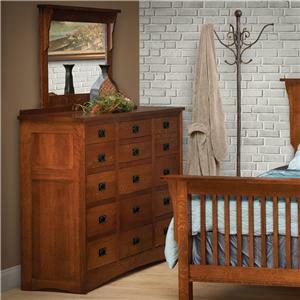 The Wildwood collection is a great option if you are looking for Rustic Industrial furniture in the Poughkeepsie, Kingston, and Albany, New York area. 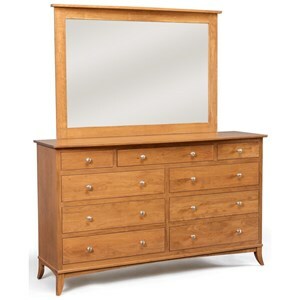 Browse other items in the Wildwood collection from Saugerties Furniture Mart in the Poughkeepsie, Kingston, and Albany, New York area.